Home / Posts Tagged "Film Hub NI"
To mark the Centenary of World War One, QFT and Film Hub NI are presenting a programme of films, talks and events. Exploring a wide range of themes, the Shadows of the Great War programme will give audiences the opportunity to experience a diverse range of archive, classic and contemporary films, all of which present and reflect on the Great War and its legacy. The Centenary of World War One, and the huge interest in the historical narrative surrounding it, creates a timely occasion to consider the relationship between film and the Great War. Despite being in its infancy, film played an important part in the war effort, recording and documenting the events of the conflict, relaying news to the home front and keeping people informed. This exploration of how the events and legacy of the Great War have been depicted on film will be supported by a programme of talks by eminent First World War experts. The Launch event will take place on Armistice Day, 11th November at 6.30pm at QFT with the Irish premiere of ‘The Battles of Coronel and Falkland Islands’. This new restoration from the British Film Institute National Archive is one of the finest films of the British silent era – a thrilling reconstruction of two decisive naval battles of 1914, recreated and filmed 13 years later, in peacetime. The film has been updated with a new score performed by the Band of Her Majesty’s Royal Marines. Receiving its UK Premiere in London in October, the Guardian described it as ‘…the greatest British war film you’ve never heard of’. Other highlights include: ‘A Night in the Cinema in 1914’. 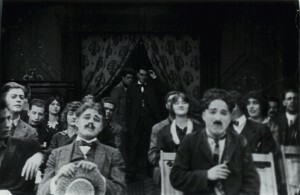 Cinema a century ago was a new, exciting and highly democratic form of entertainment. This special compilation from the BFI National Archive recreates the glorious miscellany of comedies, dramas, travelogues and newsreels which would have constituted a typical night out in 1914. A highly successful screening on the City Hall in August allowed audiences to enjoy this presentation on the big screen. Showing at QFT, the film will be preceded with a talk from Ian Montgomery (PRONI) on 1914 in Ireland, placing the film in context for local audiences. Documentary film ‘The Green Fields of France’ is a poetic documentary film about the Irishmen who died in World War One, with the voices of Frank McGuinness, John Banville and Peter Fallon as Irish poets Patrick MacGill, Francis Ledwidge and Thomas Kettle. The film will be shown at the Ulster Museum on 22 November and at the Strand Arts Centre on 20 January. After the Ulster Museum screening, Professor Richard Grayson, Goldsmith’s, University of London and author of the highly successful ‘Belfast Boys: How Unionists and Nationalists Fought and Died Together in the First World War’ will give a talk about the role Irish troops played in the Great War. 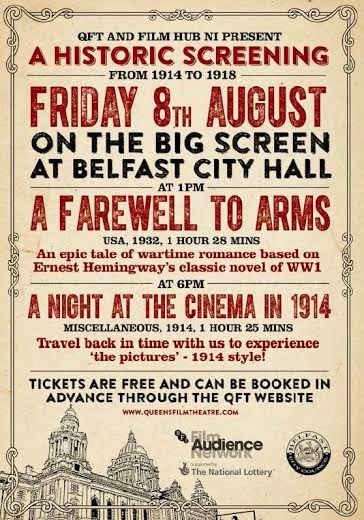 The screening at the Strand will be followed by a talk from local historian Jason Burke on East Belfast and the Great War. Other films in the programme include: the dazzling technicolor satire “The Life and Death of Colonel Blimp”, “All Quiet on the Western Front” focusing on the gulf between the concept of war and the actuality, Richard Attenborough’s musical film “Oh! 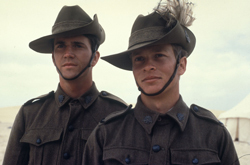 What a Lovely War”, French anti-war film “La Grande Illusion”, classic epic “Lawrence of Arabia”, “Joyeux Noel” the story of the 1914 Christmas truce on the Western Front, a love story set during the Italian campaign “A Farewell to Arms”, Australian film “Gallipoli” which tells the story of two young Australian sprinters fighting on the Turkish Front and “The Wind That Shakes the Barley” an Irish film set after World War One which highlights the difficult situation in Ireland during the fight for Independence. 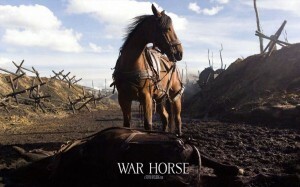 Full programme details are available at www.filmhubni.org and tickets can be booked through each venue – QFT, Strand or Ulster Museum.